We officially couldn’t make it all month without going the store. So, if you want to count me as a failure you are more than welcome to. However, remember how I said our average monthly grocery bill averaged to be 320 and our monthly eating out spending averaged 110. Well, in March we spent 230 on groceries, and 50 eating out. So that my friends is a saving’s value of 150 dollars last month. So, I will count that as a success. And for the month of April, I’m trying something a little different as well. Of course I want to continue eating leftovers. But, I also planned the meals that I want to make for the month and tried to overlap as many ingredient items that I would need to buy as possible. And then I made one trip to the store, to buy all of the food for the month, except for the fresh fruits and vegetables I will buy each week. Plus we will continue to not eat out very much throughout the month. And I will report how we’ve done at the end of the month. Well, enough of this money nonsense. You came for the recipe, didn’t you? Today I am going to share a delicious chicken tikka masala recipe with you. And its a slow cooker recipe, which I personally love. But on a scale of slow cooker recipe difficultiness (1 equals easy 10 equals difficult) this is probably a 9. Because before putting everything in the crock pot you have to marinate the meat, broil it for 15 minutes, and cook some onions. So, it does take a little prep work, but the results are worth it. 1. Cut chicken breasts into bite sized cubes. 2. Mix all tikka ingredients together in a small bowl (yogurt, lemon juice, cumin, cayenne, cinnamon, pepper and salt) and add chicken. 3. Cover and marinate for 2 hours or overnight. 4. When chicken is done marinating, turn your oven to broil. 5. Cover a baking sheet with foil. Remove chicken from marinade and place on foil. 7. Meanwhile, heat a medium sized saute pan to medium high. Add 1/2 TBS of oil and onion. Saute for a couple minutes. Add garlic and ginger spice and cook for a few more minutes, until fragrant. 8. Place the onion mixture in the crockpot. 9. Add tomatoes, tomato paste, masala, curry paste, cumin, chili powder, and coriander. Stir together. 10. When chicken is done broiling, add to the crock pot, and stir into the sauce. 11. Cook for 6-8 hours on high or 4-6 hours on low. 12. Before serving stir in last minute ingredients. 13. Serve over basmati rice. And since this is an Indian meal, here are some pictures from the Holi Festival of Colors that we went to a couple weeks ago in Salem, UT. Funny enough the festival here in Utah is the largest in North America, which is pretty random. But we had a fun time, and you can read more about our experience here. OM GEEEE I love Indian Food and Chicken Tikka Masala is one of my faves!!! This looks so easy to do as well I love anything that I can work with in a slow cooker!!! Thanks for the tutorial! That chicken looks lovely. Love that its a slow cooker recipe too! And oh those holi pictures look so much fun. Miss not being able to play holi where I live. I should shift to Utah! Thanks for letting me know about the comment thing, I will try to figure out what is going on. Also, thanks for the feature. Hope you make the dish and like it! This looks fantastic.. a little complicated but I know Indian seasoning is forgiving if you mess it up a little. Please share this on my foodie friday linky today. 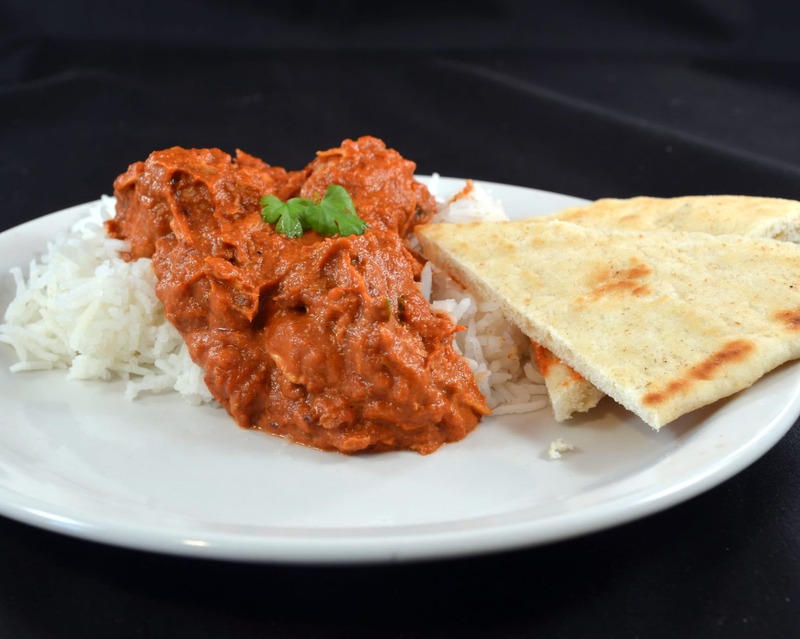 Mmmm…..I love Chicken Tikka Masala! Can’t wait to try this version! Usually I just buy the “simmer sauce” that’s in the store and throw in cooked chicken breast…..